Sidecubes is a potentially unwanted program (PUP) categorized as adware that was produced by Veristaff. Com Ltd. SideCubes may embed itself into Web browsers such as Internet Explorer, Google Chrome and Mozilla Firefox. 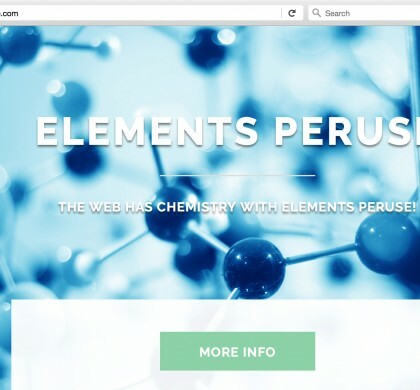 The browser add-on of SideCubes may declare to make a computer user’s Internet surfing quality better by simplifying the way computer users use the Internet. Sidecubes may permit easy content sharing, searching and translation. 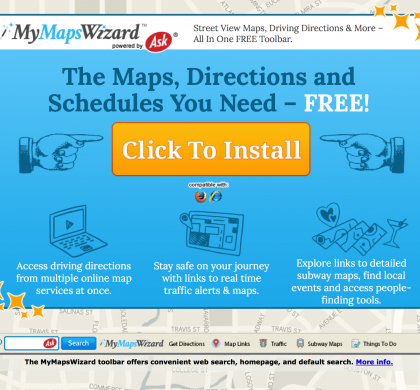 Sidecubes may propagate and install itself onto a Web browser as an extra application packaged with free tools. 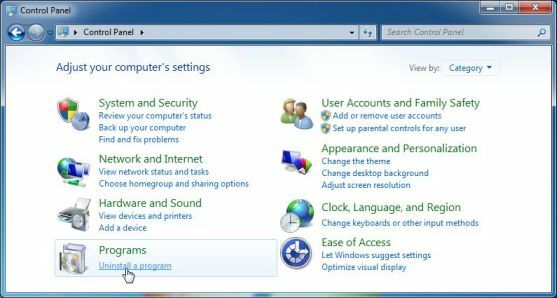 Upon installation on the PC, SideCubes may substitute the default start page, search service or a new tab page with Search.sidecubes.com. Search.sidecubes.com is a suspicious search engine because it may give untrustworthy search results. SideCubes may trace the PC user’s Internet surfing habits by recording the browser type, IP address, Internet Service Provider (ISP), clickstream data, date/time stamp, OS, and search requests. 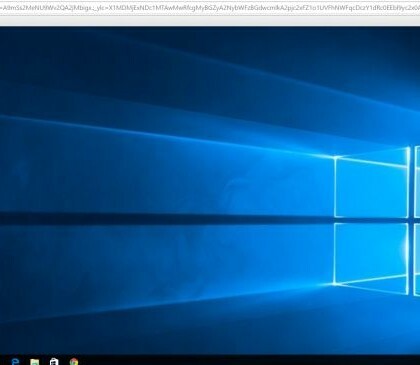 In this first step, we will try to identify and remove any malicious program that might be installed on your computer. 1. 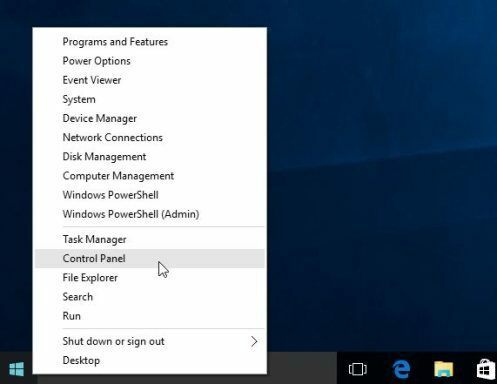 To uninstall a program on Windows 10 or Windows 8, right-click on the Windows Start button and choose “Control Panel” from the pop-up menu. 2. When the “Control Panel” window opens click on the “Uninstall a program” option under “Programs” category. 3. 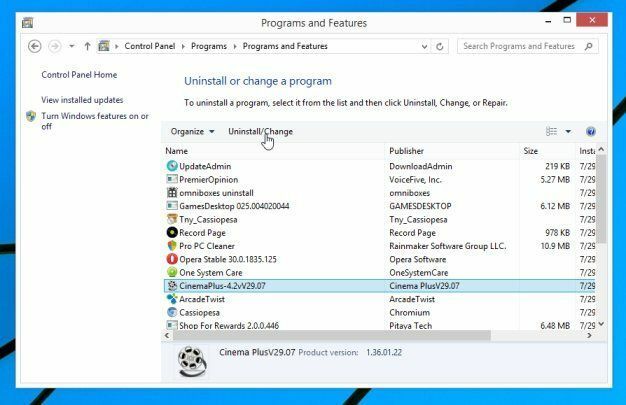 When the “Programs and Features” screen is displayed, scroll through the list of currently installed programs and uninstall “SideCubes” from Veristaff.com Ltd. 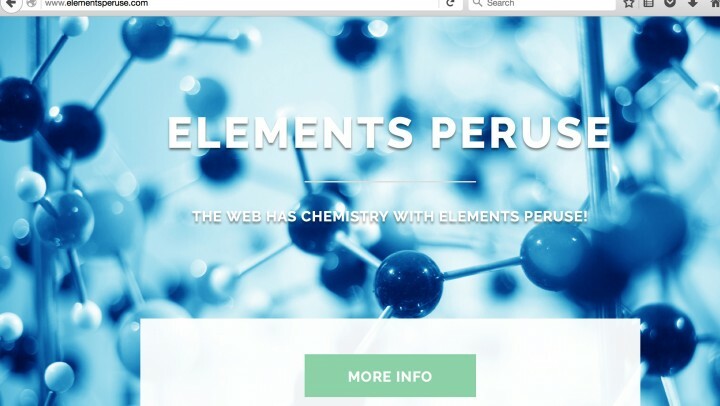 The malicious program may have a different name on your computer. To view the most recently installed programs, you can click on the “Installed On” column to sort your program by the installation date. 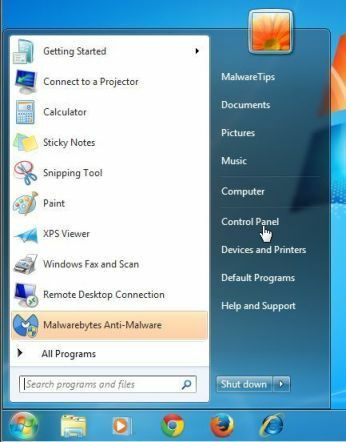 Scroll through the list, and uninstall any unwanted or unknown programs. 1. 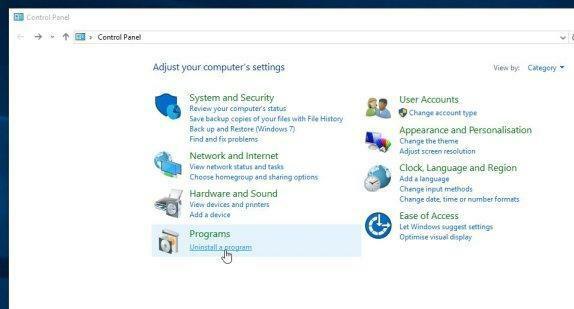 If you are using Windows XP, Windows Vista or Windows 7, click the “Start” button, then click on the “Control Panel” menu option. 1. Open your browser and tap Alt+T. 2. 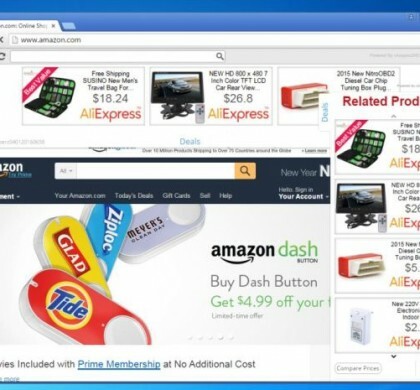 Select Manage Add-ons and open Toolbars and Extensions. 3. 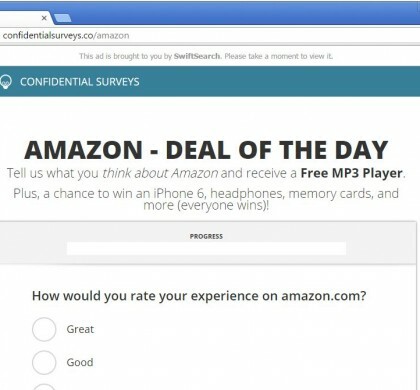 Select the extension and then get rid of it. 3. 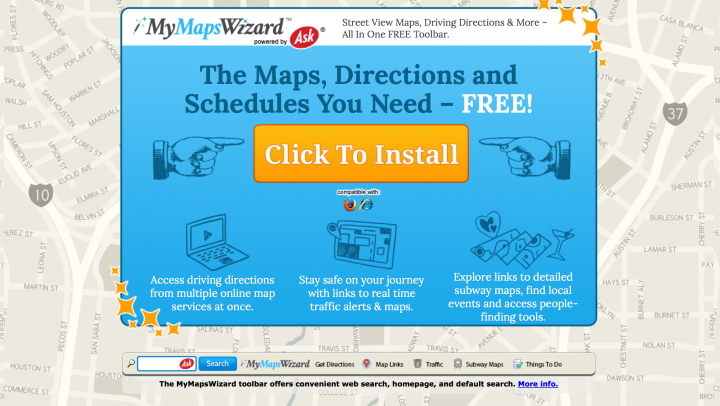 Select Tools and click Extensions. 4. 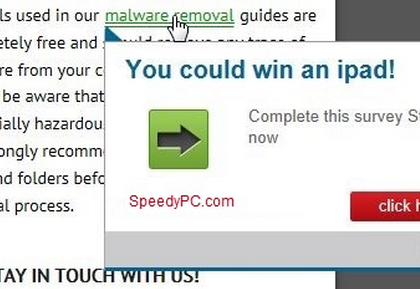 Select the extension and click the trash button. 2. Tap Ctrl+Shift+A and then open Extensions. 3. 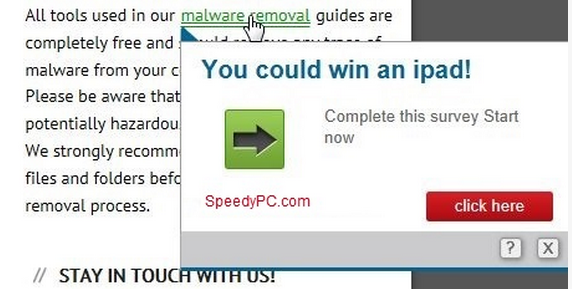 Select the unwanted software. 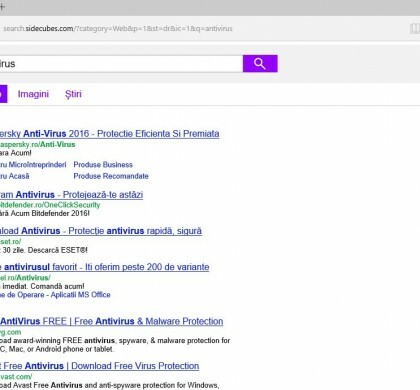 The AdwCleaner utility will scan your computer and web browser for the Search.sidecubes.com malicious files, browser extensions and registry keys, that may have been installed on your computer without your knowledge. 1. 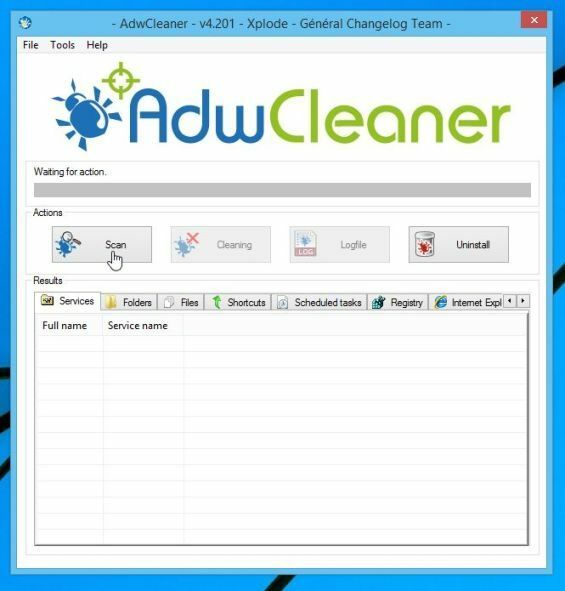 You can download AdwCleaner from the below link. 2. Before starting AdwCleaner, close all open programs and internet browsers, then double-click on the AdwCleaner icon. 3. 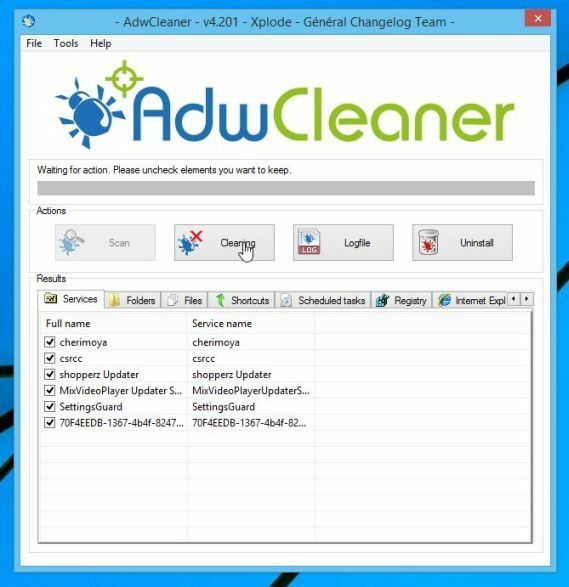 When the AdwCleaner program will open, click on the “Scan” button as shown below. 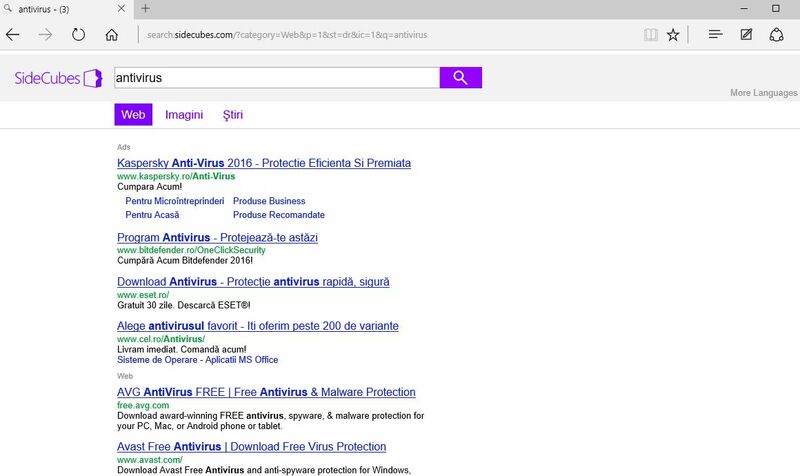 AdwCleaner will now start to search for the “Search.sidecubes.com” malicious files that may be installed on your computer. 4. To remove the “Search.sidecubes.com” malicious files that were detected in the previous step, please click on the “Clean” button. 5. 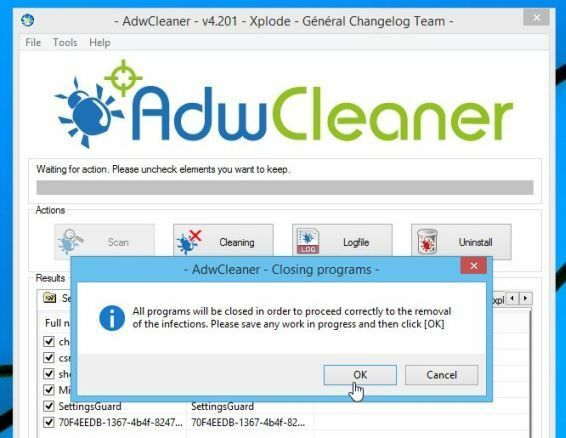 AdwCleaner will prompt you to save any open files or documents, as the program will need to reboot the computer. Please do so and then click on the OK button. © 2016 HOWTOREMOVEIT.NET ALL RIGHTS RESERVED.